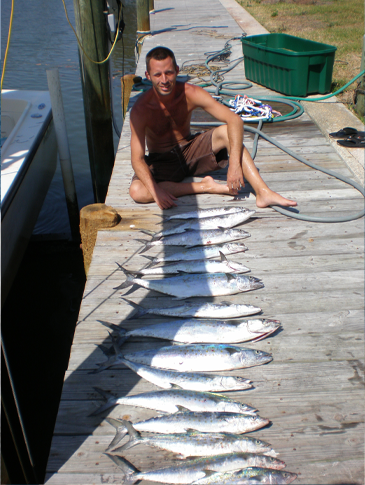 Spanish Mackerel are a fun fighting, good eating, high energy fish that frequent the Tampa Bay. Tampa Bay Mackerel fishing can be so fast at times you can literally load the boat up with them. Some commercial fishermen actually still make money hook and lining them; that’s how fast the action can be. They can be caught almost year round except during the coldest and warmest periods of the year. The spring and fall are the very best time of year to catch Mackerel in the Bay area. They are fast strong fighters on light tackle and average from 14 to 28 inches; occasionally a very large one can be as long as 30 inches.